Owen became obsessed with real estate around the age of 19. He studied photography and marketing online, then joined a nationwide brokerage firm where he impressed the manager with his energy and ambition. Moving to a larger company, Owen quickly closed a $440K sale, which came about by his knocking on the seller's door and asking for the listing. Three months later, he opened a new firm with a partner working primarily as a buyer's agent. Once again Owen excelled, but his evolving passion led him to New York City where he works in rentals and sales. Put simply, there is nothing that stops him when Owen sets a goal. He rises to the occasion even when faced with major challenges, and will never quit until he satisfies his clients' needs. 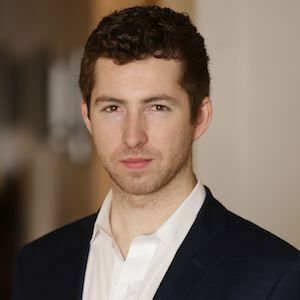 Owen has developed a stellar reputation for his brokerage savvy that encompasses many areas, from creative marketing strategies to social media marketing expertise, to negotiating skillfully in his client's best interest. Information and communication are constantly flowing between Owen and his buyers and sellers, because he believes that empowerment and confident decisions come from that. Honesty and patience are also natural "givens" when you sign on with this very ethical, attentive professional.